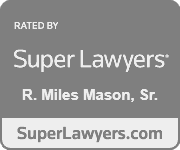 Home » Blog » Tennessee child support laws and guidelines » Tennessee child support modification » Is Child Support Based on Actual Parenting Time Exercised or the Parenting Time Listed in the Permanent Parenting Plan? Is Child Support Based on Actual Parenting Time Exercised or the Parenting Time Listed in the Permanent Parenting Plan? In Tennessee family law, when a parent asks the court to modify child support orders, parenting time is a very important variable that must be factored in along with gross income, daycare costs, and health insurance for the child, among other things. Is child support based on the actual parenting time exercised? Or is child support based only on the parenting time listed in the permanent parenting plan? The answers to both questions are a bit complicated. Technically, as a matter of law child support should be based upon actual parenting time exercised. When a parenting plan is first established, rarely is there a significant historical pattern established. Child support is based upon the number of parenting days listed in the parenting plan. When there is a modification of child support, if the case is tried, then a court can hear evidence of actual parenting time had. As a practical matter, though, when a child support modification is negotiated, for many reasons both parents may want to settle based upon the number of parenting days listed on the face of the parenting plan. For both parents, changing the number of days on the face of the parenting plan may feel like leading into a modification of the parenting plan itself. If disputed, then changing the parenting plan and its parenting time schedule requires mediation and proof of changed circumstances. That can be a big deal for both parents, financially and emotionally, even when all they are wanting to do is memorialize changes to the schedule that their children are already living. 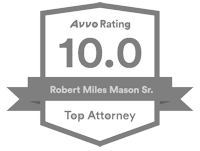 Experienced family law attorneys have a great deal of experience helping parents through this legal minefield. Trust yours to help you navigate through this, too. Why seek modification if child support is being paid? Why focus on the parenting time component of child support calculations? For some parents, it is because the obligor is not spending the number of days with the child scheduled in the permanent parenting plan. This is not a situation where the noncustodial parent misses a day or two of parenting time because of work, sickness, or some special event. Those things are expected, within reason. Instead, the source of the problem is the noncustodial parent who is absent from parenting time as a matter of lifestyle choice. What is Tennessee child support law on this issue? 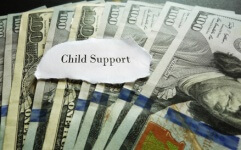 Child support is ordered in custody cases between unmarried parents and in all Tennessee divorces with minor children. Custody decisions have long-lasting consequences and, for many parents, the court process is emotionally draining as well. For parents who may be struggling with child support details, reviewing ‘real life’ worksheets and parenting plans that illustrate how other families have dealt with various circumstances can be a big help. 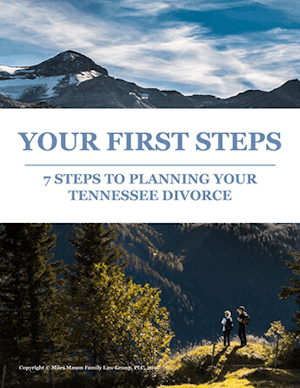 If you could use some guidance, pick up Tennessee Parenting Plans and Child Support Worksheets: Building a Constructive Future for Your Family, a book worth keeping by Miles Mason, Sr., CPA and family law attorney. This is what sometimes happens after the permanent parenting plan is ordered: the parenting time schedule committed to by the alternative residential parent (ARP) greatly exceeds the actual time he or she, in fact, spends with the child. This situation can have a detrimental impact on the child as well as create an economic burden on the custodial parent. When a noncustodial parent fails to show up for parenting time, the child left out of that parent’s life justifiably feels unloved, unwanted, dejected, and emotional, regardless of age. The wound that a parent’s rejection can drive into the child’s psyche is one that may be hard to mend through counseling, if it can ever really be mended. The primary residential parent (PRP) has a legitimate complaint when the ARP behaves in a manner that could harm their child by routinely skipping parenting time. The PRP should also look to any economic imbalance the noncustodial parent may be creating in not showing up for parenting time as scheduled. That, too, can harm the child by making the home economy leaner than it would otherwise be, which is yet another legitimate complaint centered on the ARP’s noncompliance with the permanent parenting plan. The more parenting days the alternative residential parent has, the less child support the primary residential parent is presumed to need. A parent spends money on the child when in his or her care, for any number of things: clothing, food, furniture and furnishings, educational materials, transportation, toys, entertainment, personal care needs, church-sponsored youth activities, and so on. Those are only a few examples, the point being that out-of-pocket expenses are to be expected whenever the caregiver has the child with him or her. The financial burden assigned by the court to the ARP shifts to the custodial parent when parenting days are not actually exercised by the ARP as listed in the permanent parenting plan. That can create a real problem for both the child and PRP. How does this boil down in dollars and cents? When the ARP is not exercising parenting time as ordered in the permanent parenting plan (with child support obligations based upon parents’ original worksheets), then there could be a substantial disparity in how much each parent necessarily spends on childcare-related expenses. Say the permanent parenting plan lists equal parenting time, but the ARP has zero actual parenting time exercised. In that instance, the ARP has shifted the cost-burden of 182.5 days of actual-child-care-not-provided onto the shoulders of the PRP. That would be a case of the custodial parent bearing the financial brunt of the noncustodial parent’s failure to perform obligations under the permanent parenting plan. The situation is not so clear cut when the ARP’s parenting time is less: ARP’s 80 parenting time days to PRP’s 285, for instance, or ARP’s 60 parenting time days to PRP’s 305. Every case is different, but ultimately the ARP is depriving the child of resources when the PRP has no financial relief from the day-to-day expenses associated with child care. What can be done? Consult an experienced family lawyer about the possibility of petitioning the court to modify child support orders. Everything hinges on the child support worksheets’ “days with mother” and “days with father.” In originating child support, obligations were determined using the original child support worksheets from which that order was based. Should a parent seek modification two years after the divorce, for instance, new child support worksheets with current information must be provided. From the worksheets, the court determines whether a “significant variance” exists between the Tennessee Child Support Guidelines amount and the current amount ordered in the divorce. The process of determining whether support obligations should be modified begins with actual parenting days in a new worksheet attached to the petition for modification of child support. If there is a significant variance as defined in the Guidelines (at least 15% change; or at least 7.5% change in low income circumstances), then support may be modified. When there is significant variance, many lawyers advice against basing modified child support on parenting time listed in the permanent parenting plan. Instead, consider using new child support worksheets to update with actual parenting time exercised. This is the important point. The court should use actual parenting time exercised (what is stated in the new worksheets) to determine whether a significant variance warrants modified orders. The court should not use parenting time listed in the permanent parenting plan when it conflicts with actual parenting time exercised as reflected in child support worksheets accompanying the petition for modified orders. Consider the Tennessee child support modification case of Allen v. Allen, 2014 Tenn. App. LEXIS 243 (Tenn. Ct. App. Apr. 28, 2014). Along with the divorce decree, a permanent parenting plan was ordered in 2007. As required by Tennessee law, child support worksheets were submitted and considered before the child support order was entered. The 2007 permanent parenting plan provided for this division of parenting time: 280 days for mother and 85 days for father. The father was ordered to pay $939.00 per month in child support based upon his income in the family business – $6,066.00 gross per month ($72,800.00 gross per year). In 2009, father’s petitioned to have child support modified and reduced. He had the burden of showing a material change in circumstances and substantial deviation between the amount originally ordered and what was required of him according to Tennessee’s Guidelines. The 2009 court modified the support order, reducing father’s payments to $486.00 per month due to job loss and significant variance. He had fallen “out of favor with his family” and was subsequently unemployed. The trial court imputed income of $2,600.00 per month to the jobless father. In 2010, the mother filed her petition to modify child support by increasing the monthly amount. She wanted to shift more of the support obligation to the ARP because, since 2010, the father had not spent a single day with their child – zero actual parenting time exercised in a two-year period. The trial court denied the mother’s petition to modify support. In part, the court reasoned that it was deciding a petition to modify support, not deciding a petition to modify the permanent parenting plan and its listed parenting time. The court used parenting time days listed in the permanent parenting plan (85 days for father; 280 days for mother); the trial court did not use actual parenting time exercised by father (zero days for father; 365 days for mother). The Court of Appeals reversed and remanded. Consistent with a number of Tennessee cases, the Court of Appeals held that actual parenting time exercised (as determined from the child support worksheets accompanying the petition to modify) is the relevant number of parenting time days for calculating whether there is a significant variance under the Guidelines. The mother did not ask that the father be held in contempt for not violating the parenting time schedule in the permanent parenting plan. She did ask for attorney’s fees incurred in the appeal which were awarded to her along with the costs of appeal. There are special concerns for service members whose parenting time must give way to deployment and active duty responsibilities. Take the following as an example. In a 2015 Tennessee child custody case, the military parent was deployed to Afghanistan which prevented him from exercising actual parenting time with his child. Hibbens v. Rue, 2015 Tenn. App. LEXIS 464 (Tenn. Ct. App. June 12, 2015). The Court of Appeals affirmed the trial court’s use of the number of days the service member had actually exercised his parenting time in determining child support (instead of the 115 parenting time days allotted the military father under the parties’ mediated parenting agreement). If yours is a military family, talk to a lawyer!